Russia, holder of the world's third largest foreign exchange reserves, has called for the world to become less dependent on the dollar and suggested that the yuan and the ruble could become reserve currencies in the future. Yes. 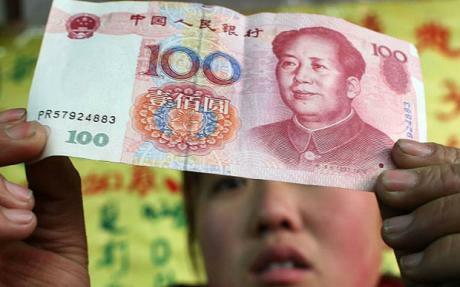 Everyone should start opening yuan and ruble accounts to hide from dollar risk. But wait, don’t you need a Chinese state bank and a Russian bank to open these accounts? At least there is no credit risk there, right? (Russian banks never default). Isn’t there a restriction on foreigners to open such accounts? And then when you want to convert back to dollars or euros, it should be a piece of cake. No exchange controls and no issues taking funds out of the country. The World is ready for the new reserve currencies. Concerns that dollar's role as the dominant reserve currency has contributed to global financial instability has been discussed by BRIC's top security officials, who met in Moscow last month to prepare the summit. The dollar may become a problem later as the Fed floods the system with dollars, but contributing to the financial crisis? Just because freely floating emerging market currencies got destroyed during the crisis, doesn’t make the dollar a contributor to the financial instability. The fact that many in the emerging markets have borrowed hard currencies just to watch their liabilities explode, again does not make the dollar a source of the financial crisis. But it makes for good headlines and helps certain governments with support at home.